Preventative Dentistry | Dr. Sheetal Sachdeva B.D.S. Preventative dentistry keeps your teeth healthy by warding off cavities, gum disease, enamel erosion and more. When you prevent dental problems, it also means you avoid excessive expenses. The most common causes of tooth loss are tooth decay and gum disease. It is best to prevent these problems before they affect your teeth and gums, and your general health as well. Your Wantirna South dentist will conduct interviews and examinations to discover health conditions that run through your family, and provide a wide array of preventive solutions. Proper oral hygiene practices help prevent dental problems like tooth decay, gum disease, and even dental erosion caused by acid from the bacteria present in the food debris left when you don’t brush after eating. Regular dental check-ups are important to keep your teeth and gums healthy. Visit your dentist every six months to keep up on your dental health status. Dental X-rays look for decay, gum disease, and other dental problems. The results help your dentist suggest appropriate dental treatments. White fillings are resin and glass mixtures used to fill your decayed or broken teeth. 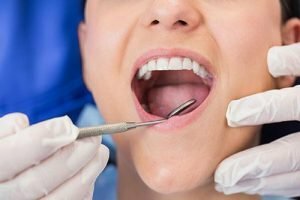 They restore teeth that have become damaged as a result of tooth decay or injury, using enamel and dentin bonding techniques. They are used as an alternative to silver fillings, which are aesthetically poor and contain mercury. Dental sealants are treatments to help stop the development of tooth decay. They are materials placed in pits and fissures to fill them in, creating a smooth, easy to clean surface, usually for children, who tend to develop tooth decay, and sealants are placed as soon as permanent molar teeth develop. One of the most commonly performed dental procedures is the ‘scale and clean’. It removes nasty accumulations on your teeth like plaque, tartar, and stains. Usually custom-fitted, mouthguards are manufactured for people with sleep apnoea. Sleep apnoea is a condition in which there is an obstruction of the airway, especially when sleeping. Most people with sleep apnoea snore during sleep. Mouthguards help adjust the lower jaw and tongue to keep the airway open. Splints, also custom-made, are devices attached around the teeth and over the tongue to help patients with mild or moderate sleep apnoea, holding the lower jaw slightly down and forward. Children’s dentistry provides a child-friendly environment for infants, children, and adolescents while they receive the dental treatments they came for. The Child Dental Benefits Schedule (CDBS) provides access to benefits for basic dental services of children aged 2-17 years. We understand that you want to maintain your beautiful and healthy teeth. That’s why we are here to back you up! If you are planning to get preventative treatments, call us at (03) 9800 2338. We are located at 87 Stud Road in Wantirna South. We will attend to you with utmost urgency and care.